The much awaited scheduled of IPL 2019 has been released. 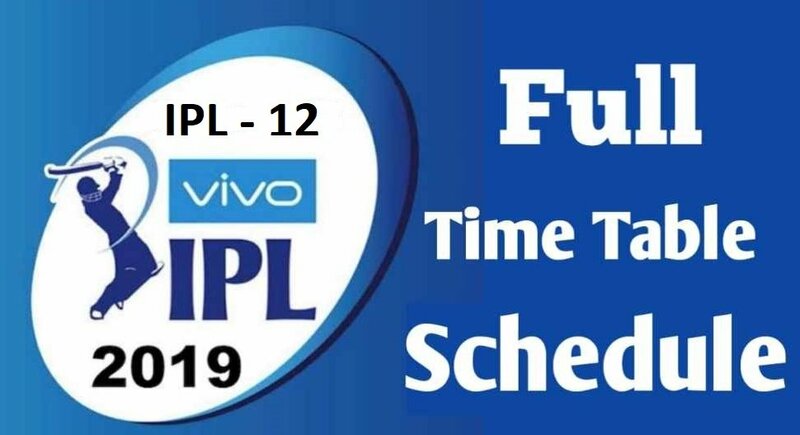 Have a look at IPL 2019 Full Schedule – Date and Time of All Matches bellow. If you want to go through some exciting records from IPL 2018 click here. Find out the bellow IPL 2019 Full Schedule Date and Time of All Matches IPL 2019, 12th edition of IPL . All the update for the mega event will be available at Sports Takis.